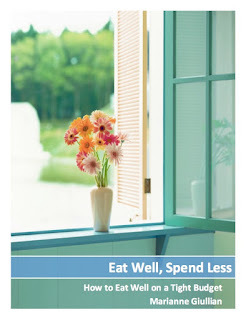 This is a very simple way to save money, but it is worth mentioning. Don't bounce checks, don't pay overdraft fees and avoid ATM fees. I knew a girl in college who had a difficult time just keeping her checkbook updated. She had several bounced checks per month and paid a lot of fees. It doesn't take that much effort to avoid these fees. And, if you don't have the money then don't write the check. Last year I helped another woman declutter her house. She asked me to help with some financial stuff too. I was surprised how many fees they paid each month for using ATM's that weren't associated with their bank. Each time they used it, there was a 2 dollar charge. $20 a month doesn't seem like much, but it would more than pay the garage bill for a year. Next time you pass an ATM, think twice about getting cash if it isn't associated with your bank. And, if you do take money out of an ATM, be sure to record it so you don't think you have more money in the bank than you do and end up having to pay overdraft fees. Our problem is that we have to remind ourselves to use our ATM when we pass it, even if we don't need cash. Because naturally, just when we need cash the only ATM around will be from another bank. Classic case of wasting money by trying not to spend money! That's a hard one. If you get the money out early, you may be tempted to spend it if it is around. I take money out weekly for the week and then don't have to worry about going to other ATM's. I guess it all depends on your spending habits. Thanks for your comment!